Think of it as Windows RT 2.0, but done right. Windows RT tried, and failed, to deliver a full-fledged Windows environment on top of anemic ARM microprocessors. Now, Microsoft is trying again, with two major improvements: compatibility with the mainstream Win32 apps that PC users have enjoyed for years, and a new generation of powerful ARM chips to run them. At its Windows Hardware Engineering (WinHEC) conference in Shenzhen, China, Microsoft said Thursday morning that it's partnered with Qualcomm to enable new, low-cost PCs. These are intended to replace Windows tablets built around Intel’s Atom, a chip the company's essentially discontinued. Traditional Windows apps can only run on X86 chips, not ARM—thus, the failed Windows RT. To get around this, Qualcomm (and only Qualcomm) is working with Microsoft to emulate X86 instructions, the companies said. 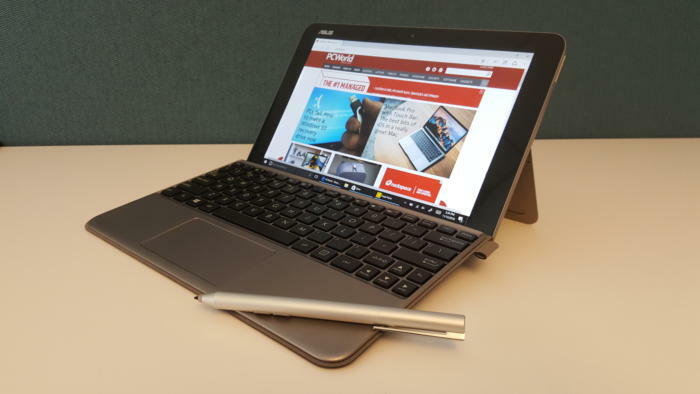 This Atom-powered Asus Transformer Mini provides compact computing for a low price, but with performance sufficient for Web browsing and little else. Why this matters: Though the PC may be in decline, two growth segments have been low-cost (priced between $200 and $300) and two-in-one laptops. This announcement promises that upcoming Qualcomm chips will have the chops to handle that kind of hardware, run apps like Photoshop, run efficiently on battery, and ship at consumer-friendly price points. This has us slavering for a shootout between Qualcomm and Intel’s Core m—which sounds like it will happen in less than a year’s time. Sources at Microsoft and Qualcomm say the partnership is designed around the Qualcomm Snapdragon 835, a chip that's in production now and is due to ship in the first half of 2017, according to Qualcomm. The first Windows-on-ARM PCs are expected by the second half of next year. For now, Microsoft is thinking of the Windows-on-ARM relationship strictly in terms of enabling a new class of mobile PCs with superior battery life. But backward compatibility with Windows has also been a Holy Grail of sorts for fans of Windows phones, and reopens the door for a phone that could run traditional Windows apps. 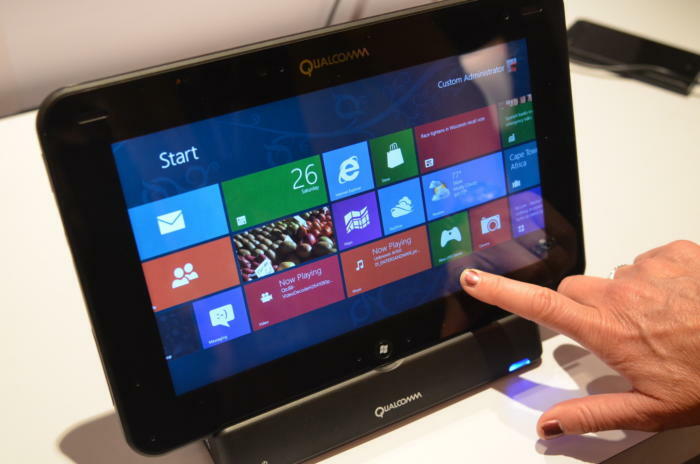 The new Qualcomm-powered PCs will be able to join corporate domains, making them more than just consumer devices. The message is clear: The line between Windows 10 Mobile and Windows 10 for desktop PCs is blurring—but just not how we originally thought it would. 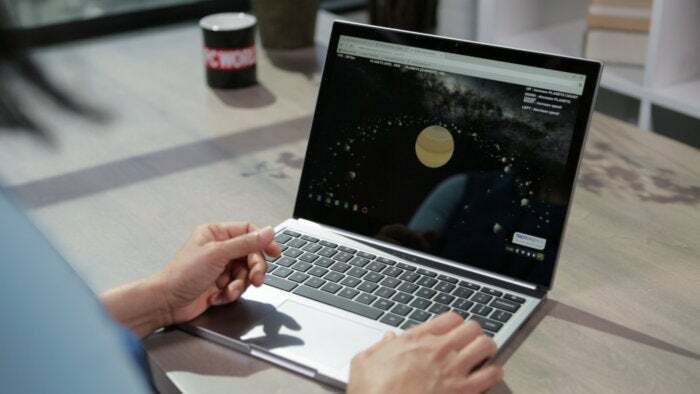 The original Google Chromebook Pixel offered integrated cellular WWAN, but it was rarely used and dropped in later models. Microsoft apparently wants to change that. Hearken back to 2008, when Asus and others tried to market a range of Atom-based PCs—and they largely flopped. Even recent Atom-powered products like the Asus Transformer Mini balk at heavy workloads. Consumers have turned back to Intel’s Core chips (or Core m) instead. That’s what makes X86 emulation, at least on paper, a risky proposition. Emulation takes an instruction written for an X86 chip, intercepts it, and translates it into the chip's native instruction set. In practice, emulation can slow the chip’s apparent performance considerably, as Transmeta learned in 2008. That startup challenged Intel with its line of Crusoe chips, which emulated the X86 architecture at slower speeds, while offering considerable power savings. But Intel responded with its own line of low-power chips, largely maintaining its performance. That killed Transmeta’s competitive advantage, and the company eventually went under. Now, Microsoft seems to believe the performance of the Snapdragon 835 justifies its investment. Qualcomm hasn’t said much about the 835 specifically, but the company has said that simply shrinking to a 10nm manufacturing process can improve performance by 27 percent and battery life by 40 percent, compared to the company’s prior generation of 14nm chips. Below, Microsoft released a video showing off how the current Snapdragon 820 runs Windows 10 Enterprise, via its emulator. Microsoft itself crafted the X86 hardware emulator, according to industry sources. The emulator software attempts to minimize any CPU overhead by handling only CPU calls. Instructions sent to any associated storage, I/O, or GPU are all handled natively by those components, the company said. One source said Adobe’s Photoshop, one application Microsoft is expected to show at WinHEC, apparently runs well. The Surface phone has achieved mythic status before it ever ships. Microsoft also isn’t saying anything about the fabled Surface phone, which has been an on-again, off-again proposition for many months. The phone—which may not even be a phone—has been rumored to ship sometime next year. One of its flagship features was supposedly Win32 apps, a feature that looked increasingly doubtful when Intel killed most of its Atom chips. In light of Myerson’s earlier comments, however, the Surface phone could in fact be a small, Snapdragon-powered, cellular-connected device—not one you hold to your ear, but one you can talk to on your desk via Bluetooth or Skype. Microsoft apparently sees Windows on ARM as a game-changing technology. But what that game actually will look like is still intriguingly hazy. Updated at 8:24 PM with Microsoft's demonstration video.